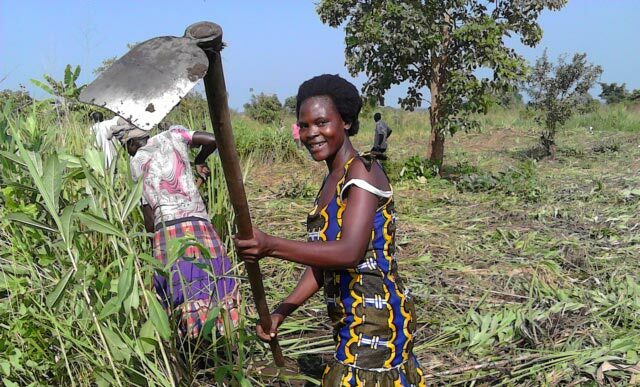 While both Uganda and Tanzania have made great strides in strengthening the gender component of their agriculture and climate change policies, a lot still needs to be done to ensure gender issues are adequately addressed including the allocation of resources and better planning of activities and strategies for gender transformation. This in turn will contribute to efforts to reduce poverty and achieve economic growth in an equitable manner. Women have a critical role to play in tackling climate change and related threats to food security. These are the findings of the latest research from the Policy Action for Climate Change Adaptation (PACCA) led by IITA and supported by the CGIAR Program on Climate Change and Food Security (CCAFS). The key findings were recently published in two Info Notes: Towards gender responsive policy formulation and budgeting in the agricultural sector: Opportunities and challenges in Uganda and Gender responsive policy formulation and budgeting in Tanzania: do plans and budgets match? The findings were based on desk surveys carried out by Mariola Acosta, research fellow at IITA and PhD candidate at Wageningen University; Edidah Ampaire, Social Scientist and PACCA Project Coordinator and Laurence Jassogne, a Systems Agronomist, all from IITA-Uganda and others. In Tanzania, the researchers analyzed 75 documents from the national, district, and ward levels and primary quantitative budget data at the district level while in Uganda, 83 agri-food policies and strategies at national, district, and sub-county levels were analyzed. In both studies gender issues were mostly seen as women’s issues and women were generally stereotypically portrayed as vulnerable and marginalized by society with limited access to land and resources. These characterizations reinforce gender inequalities and might even become counterproductive. The study therefore recommends that gender issues in agricultural policies incorporate men’s, women’s, and youth challenges, opportunities, perceptions, and preferences. The study also found gaps in gender planning and implementation at both national and lower governance levels such as districts and sub-districts. In Tanzania, while the majority of the national policies and strategies sufficiently integrated gender issues, they lacked clear implementation plans and did not allocate appropriate budgets. At district level, the budgeting was not done consistently – some districts budgeted, some did not, and others started and stopped. In Uganda, budget allocations for gender issues at sub-county and district levels were low, fluctuating from year to year and with sharp differences between estimated and actual budgets. This makes the planning and implementation of gender mainstreaming activities extremely challenging. Furthermore, the gender activities planned and implemented at district and sub-county level were largely informative such as celebrating International Women’s Day. In view of these results, the researchers recommend, among others, that the two East African governments should increase efforts in streamlining gender integration from the national to the local levels, increasing budget allocation, and improving gender planning to focus on gender transformation.